Apps for Your Toolkit Today! Apps to Your Toolkit Today! 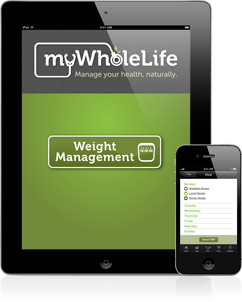 Coming on the heels of their successful Blood Sugar app, which won “My Favourite Find” at the 2012 Canada Natural Health Awards, Vancouver-based WholeLife Holistic Nutrition Inc. is pleased to announce the launch of their latest application for mobile devices: Weight Management. 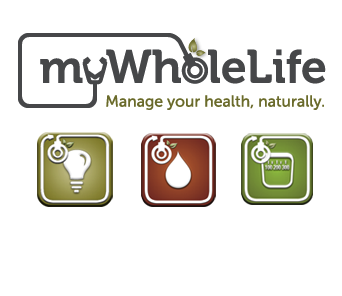 Coupled with the Quick Tips app launched last spring, myWholeLife aims to bridge the gap between Western and holistic medicine by focusing on science-based nutrition. 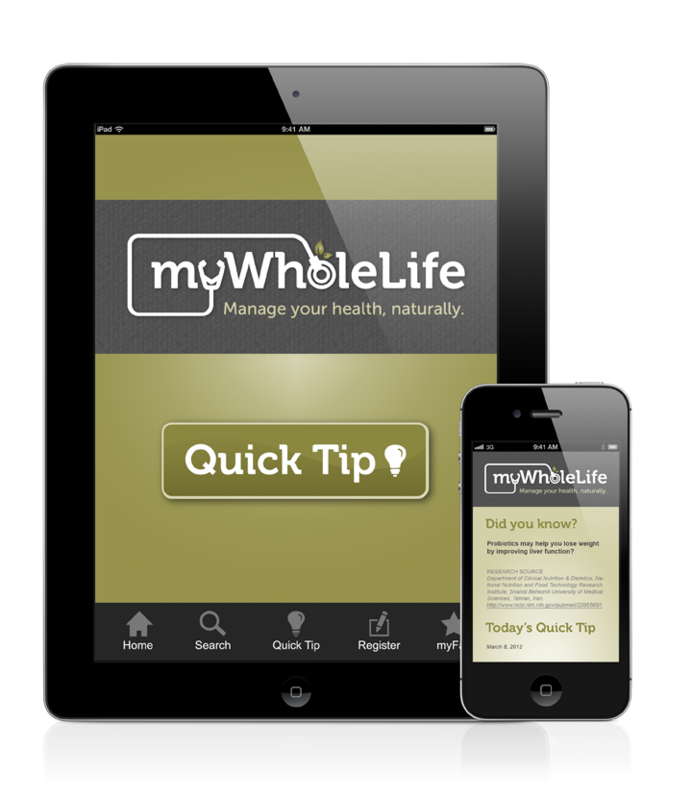 Whether you are a student of nutrition or a practitioner, myWholeLife Quick Tips, Blood Sugar, and Weight Management apps will soon become your go-to source for nutrition information on the go. What’s more, for students these apps make great study tools, and can be easily applied in case studies or other practical applications—useful for anything from autism to cardiovascular disease. Purchase and add these apps to your toolkit today! Search diet, supplement, and lifestyle tips for a specific query, or simply browse through all the categories until you come across what you need. All of our ‘Quick Tips’ are aligned with the latest evidence-based trends in health and wellness. When you read something of interest you can simply save yourfavourites directly into the app to pull up again—whenever you need them. Make a difference in your health today, and then everyday … one Quick Tip at a time. 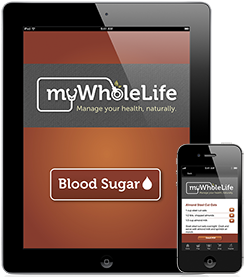 The Blood Sugar app takes an integrative, holistic approach in providing diet suggestions, supplement information, lifestyle recommendations, and interactive planning features based on the latest scientific research. Easily access fully sourced, relevant, new research on a wealth of topics within seconds. As a practitioner, you can apply the knowledge and tools in the Blood Sugar app to help clients establish and maintain healthy blood sugar levels. Quickly access top foods, supplements, and realistic suggestions that can be easily pulled up and incorporated into practice. Email and print our 7-day meal plan including 21 recipes based on the Top 100 blood sugar-friendly foods, complete with snack and beverage ideas and customized shopping lists. The meal plan in this app is a great example of how to integrate these valuable foods into perfectly balanced weekly meal plans for clients. And be sure to think beyond diabetes—the same nutritional strategies and advice that help to maintain blood sugar balance can also be applied to weight management, emotional eating, migraines, and mental health imbalances. Think of all the clients who could benefit from this app and spread the word! The Weight Management app was created by a team of nutritionists, chefs, and trainers who believe it takes an understanding of the root issues surrounding body weight to create a long-term plan for weight loss. The app combines diet and exercise to create an integrative strategy for sustaining a healthy body weight—incorporate our complete 7-day meal plan based on the Top 100 weight-friendly foods with our exercise plans for home, gym, or travel. As a student of nutrition or practitioner in the field, you will benefit from easy access to valuable information on the top anti-inflammatory, blood sugar-balancing, and thermogenic whole foods and supplements, as well as ‘healthy swap’ suggestions for eliminating foods that increase inflammation, spike your blood sugar, and slow your metabolism. 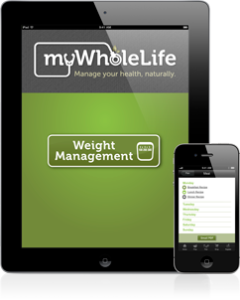 Use this app to ensure effective and long-term weight loss by addressing the root causes of weight issues. Learn more, or download for iPhone, iPad, or iPod. Quick Tips is also available for Android.